Thomas Kevin Beattie was an English footballer. Born into poverty, he played at both professional and international levels, mostly as a centre-half. He spent the majority of his playing career at Ipswich Town, with whom he won both the FA Cup and the UEFA Cup. 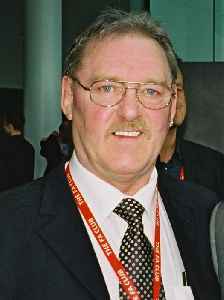 He was also named the inaugural Professional Footballers' Association Young Player of the Year at the end of the 1972–73 season and featured in the film Escape to Victory alongside many of his Ipswich teammates.